People can complain all they want about the old world of music and how hard it was to get an album released. The truth is, that process of needing to prove yourself and work with a producer helped to hone the musical craft. 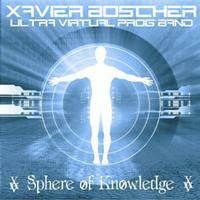 This album by Xavier Boscher (operating as a one man “virtual prog band”) really showcases that. 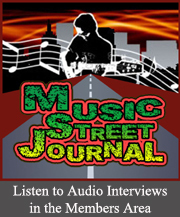 Having another person (or persons) involved in the creative process flavors the music. It also gives you an edit process. Without that you get discs like this. That’s not to say the music here is bad. It’s not. The style of sound here is sort of like taking Joe Satriani and upping the fusion and pure progressive rock angle of it. The problem is, there’s just not enough variety in terms of musical flavorings or tempos. It all just seems to be very monolithic. Any single track from the disc by itself is great. All of them together are just kind of boring. A producer or label rep who knew music would have spotted that and helped Boscher to hone his craft in a way that would lend variety. Even some vocals would have helped. I’m the first one to agree that the digital revolution has made producing music much simpler for musicians. They can now do it without other people participating. The problem is, many musicians, no matter their talent level, need someone with an external view of the project to give them some constructive criticism along the way. Otherwise you wind up with a mediocre disc full of strong pieces of music, just like this. Hard edged guitar is mixed with some tasty keyboards and a killer progression in a song that reminds me both of Dream Theater and Erik Norlander/Lana Lane. Midtrack there’s a high energy jam that leans on the fusion side of things. It turns toward the metallic side of fusion at points, though. There’s more of a Joe Satriani kind of feel to a lot of this as the melodic guitar soars overhead. We get plenty of pure progressive rock in the arrangement and changes, though. At over ten and a half minutes in length, this is the longest track on show, by a long shot. It starts with more Satriani-like music. We are taken out into some pure fusion and then into some hard rocking prog that reminds me of Scott Mosher’s music. There is some serious screaming guitar work later, too. While the cut never reinvents the sound, it works through a number of variants, showing a lot of sides of the single issue. This is more like “The Melodist,” but with a more prominent keyboard presence. There’s a more pronounced keyboard presence on this track, but it’s also got a chugging, straightforward, hard rock element to it. This is pretty hard edged and intriguing. It’s got some interesting twists and turns, but the basic format is starting to wear a bit thin by this point in the disc. As the title suggests, this is a mellower piece. It doesn’t seem completely related to the earlier part. It’s one of the more introspective numbers here. It’s also a bit of a variation from some of the monolithic nature of the disc. The piano is particularly nice. Here’s another good piece of music. It’s more energized than the last one and quite competent. It’s just that, by this point, we’ve really heard it all.